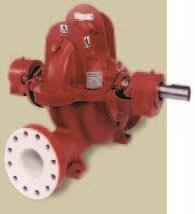 A-C Series 2000 frame-mounted end suction pumps are designed with top center line discharge that helps simplify piping layouts, reduces piping strain and is self-venting. Serviceability is a top priority so the rotating element is easily removed without disturbing piping or driver when a spacer coupling is used. Added to the design is the rear pull-out feature making servicing simpler and faster on this pump. Additionally, the mounting feet are cast integrally with the casing for a robust installation. To top off these offerings, the models feature a hydraulically balanced impeller which extends bearing life and ensure a smooth, quiet operation. 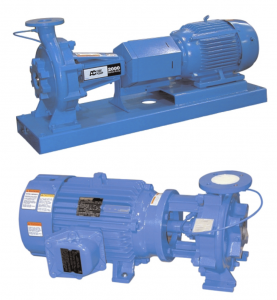 A-C Series 8100 double-suction split-case pumps have bronze-fitted construction making it ideal for use with the following liquids: domestic and fresh water, boiler feed water, condensate, hydronic cooling or heating, pressure boosting, general pumping and benign liquids. Designed with durability in mind, the pumps rugged construction and regreaseable bearings, makes installation, operation and service easy to perform. 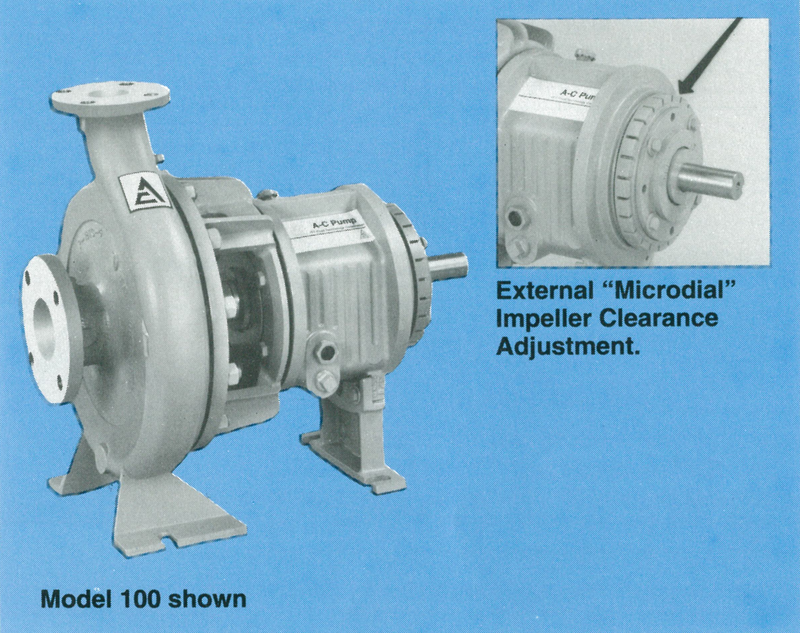 A-C Series 9100 standard features include double-suction, base-mounted, bronze-fitted construction with externally flushed mechanical seals. 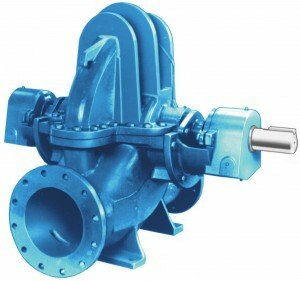 The largest pump in the series, the double volute design offers flows and heads not seen in other models. 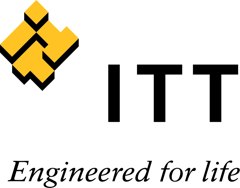 Adding to the standard features are pump bearings and mechanical seals that can be serviced without disturbing the piping connections or electrical motor connections, making for ease of use and serviceability. 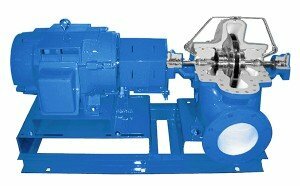 You can rely on this pump to deliver the quality and efficiency you’ve come to expect from the A-C Series line. 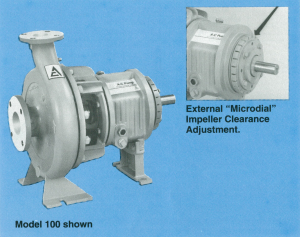 Complete selection of parts still available for sizes ranging from 1.5” to 10” discharge. Complete selection of parts still available for sizes ranging from 4” to 18” discharge. 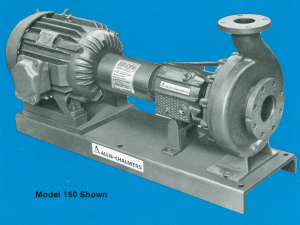 The Model CW/CWX horizontal pumps are designed to efficiently pump liquids with abrasive solids in suspension. 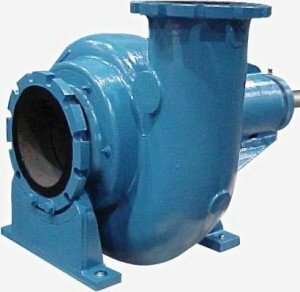 With wear parts made of HC600 chrome iron, the CW/CWX pumps give long life and superior performance in all types of slurry applications. 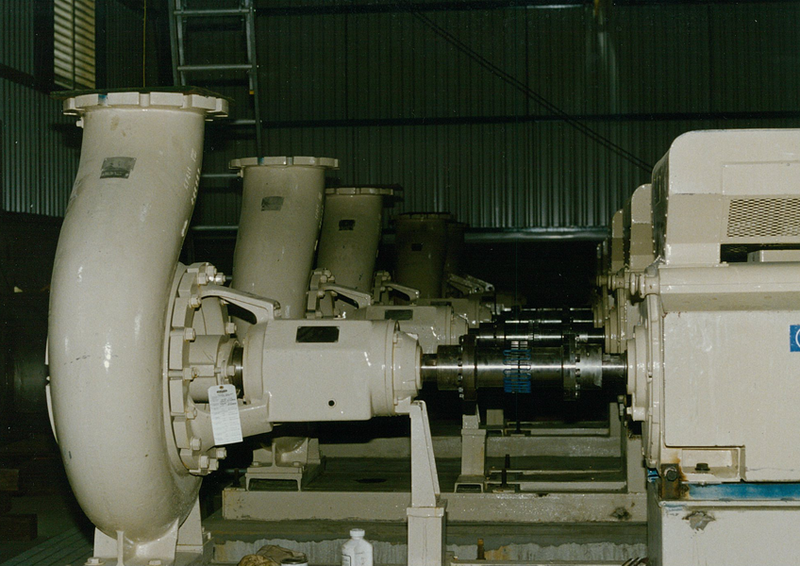 The model CWX with shearpeller has air and solids handling capabilities significantly superior to conventional designs. One of the first fire trucks built in the late 1800’s was equipped with an A-C Fire Pump. 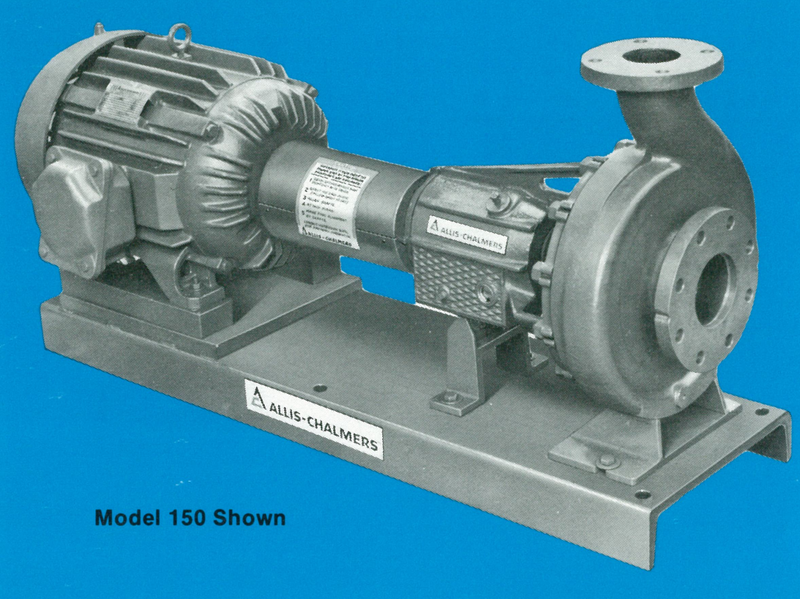 For over 100 years, A-C Fire Pump Systems has been on the forefront in developing, designing and custom-building a wide range of fire pump systems including prefabricated packages and house units that meet every fire protection need. A-C Fire Pump is not only rich in history, but on the cutting edge of new technology as demonstrated with their contribution to the fire protection systems for launch pads 39A and 39B for NASA at the Kennedy Space Center. 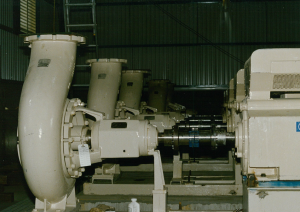 A-C Fire Pump Systems furnished a package of four 12×8-22 9100 series horizontal split case pumps driven by 1065HP diesel engines including state-of-the-art control systems. 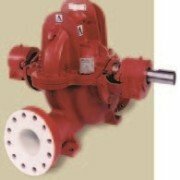 Each pump is rated at 3,500 GPM and 250 PSI pressure.